There could be a major downside to the fluoride the government adds to your water to help prevent cavities. A study published this week in the journal Environmental Health reports that there could be a correlation between water fluoridation and rates of Attention Deficit Hyperactivity Disorder (ADHD). These findings are a big deal as both water fluoridation and ADHD diagnoses continue to rise. York University psychologists in Toronto studied states' portions of fluoridated water and the prevalence of ADHD over the course of six years. Researchers Christine Till and Ashley Malin first looked at states’ fluoride levels in 1992 and then tracked the number of diagnosed cases of ADHD in each of those states. They discovered that states with more fluoridated water also had more cases of ADHD. The findings were striking. With every 1 percent increase of the American population who drinks fluoridated water, there were an additional 67,000 diagnosed cases of ADHD by 2003, Newsweek reports. Eight years later, that figure jumped to another 131,000 diagnoses. Since 1992, when researchers first tracked state levels of fluoride, the percentage of the U.S. that drinks fluoridated water has jumped from 56 percent to 67 percent. Similarly, the Centers for Disease Control and Prevention (CDC) reports the frequency of ADHD diagnoses jumped from 7 percent to 11 percent. The fluoride-ADHD connection should be seen as a correlation and not a causation, and scientists have emphasized that this is just one study on the subject. But the potential hazards of fluoridated water shouldn't be discounted. This is not the first time that fluoride’s effects on health have been called into question. 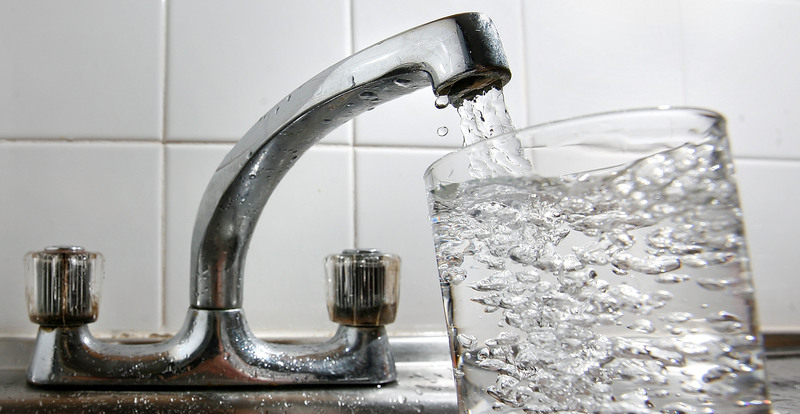 A Neurotoxicology study has claimed that fluoride could be connected to elevated blood lead levels. Let's be fair to fluoride, though. It has at least one positive impact: reducing tooth decay and cavities. Newsweek reports that the CDC lauded fluoridation as one of the “10 great public health achievements” of the 20th century and the American Dentistry Association reports that water fluoridation has decreased rates of tooth decay by 25 percent. But while cavity prevention is well and good, it’s important to consider the downsides with the upsides. Healthy teeth, while undoubtedly very important, shouldn’t come at that steep a cost. You can find out more about your state's fluoride levels on Fluoride Action Network's website.